We added a somewhat static front page that provides a few photos and a high level description of the site navigation. We added a new ‘Updates’ tab that will include the most recent updates, posts, last minute information… This is the the place you want to check on a regular basis in order to stay up to date with GVXC. The most recent posts will always be sorted to the top of the page. (by the way, you are reading the new ‘Update’ page right now). The Twitter feed was relocated to its own page beneath ‘Media’. 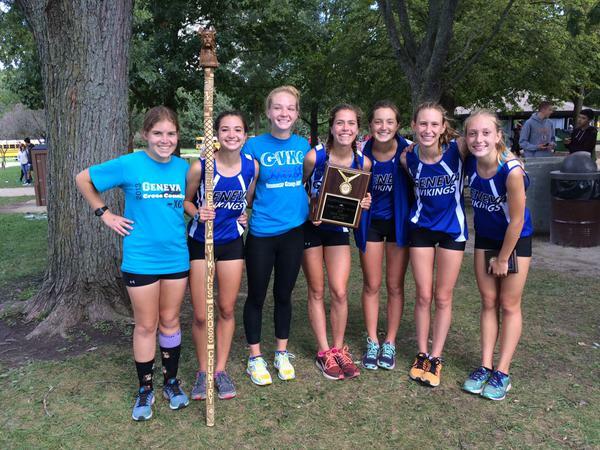 Do you have GVXC photos you would like to share to be included in the Year-End Video? If so, please contact Kelly Nowak (kellybnowak@gmail.com) so that she can invite you to her Dropbox account. A GREAT day at the Wauconda Cross Country Invitational! We had a great day in our first appearance in the Wauconda Cross Country Invitational. Every girl that competed yesterday improved on their time from the Leavey Invite as did most of the boys. Keep up the great work! Click the ‘Location & Instructions‘ link to see details about the the meet location, including maps, times and any other special notes. Race results will be added to the last column as soon as they are available. This will include both the overall results for the meet as well as the individual stats for GVXC runners. The ‘Practice Calendar‘ contains every practice, meeting, event… in a calendar view. Recent news paper articles about the Team will be posted to the ‘News‘ page beneath the ‘Media’ tab. Short Videos of the meets will be posted to the ‘Videos‘ page beneath the ‘Media’ tab. Real-time Twitter feed will always be posted to the bottom of the main page. If you have questions or suggestions about the website, please use the ‘Contact Us‘ form.